Is there anything chicer than slipping a colorful scarf around your head and traipsing around in the sun, a pair of big sunglasses shielding your vision? No, there is not. If you don’t believe me then you can ask Jackie O, Audrey Hepburn, Grace Kelly, and countless other style icons. Scarves are always around, especially in the winter months when we need the extra layers, but lately we’ve noticed a different kind of scarf popping up everywhere. We’re talking about more of a kerchief than anything else. They’re beautiful, silky, and add a certain je ne sais quois to any outfit. It’s an easy way to add a pop of color to any outfit, if you’re ready to break out of the totally neutral trend. And don’t be afraid to get creative. 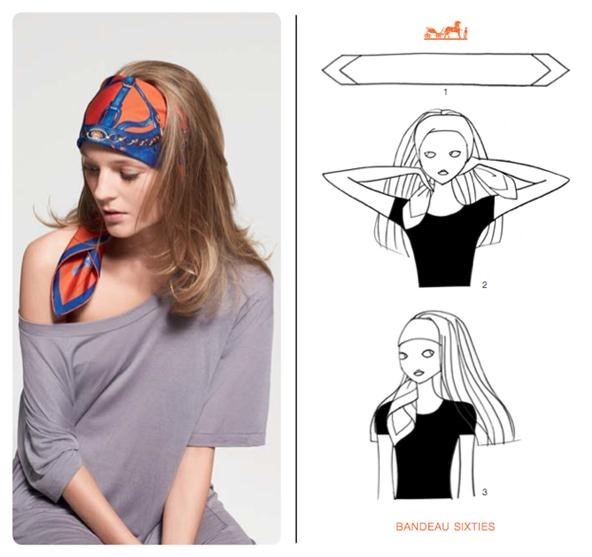 More into bandanas right now than scarves? That works too! How are we wearing them? We thought you’d never ask. Of course, you could go with the retro, driving in a convertible, tie your scarf around your head to protect your hair look. 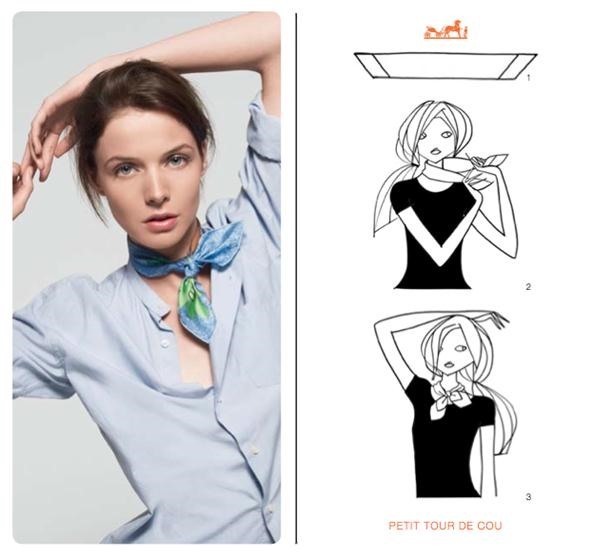 If you’re not feeling that, can we suggest a more Brigitte Bardot-inspired headband. Perfect for when you want to show off your hair, not hide it. 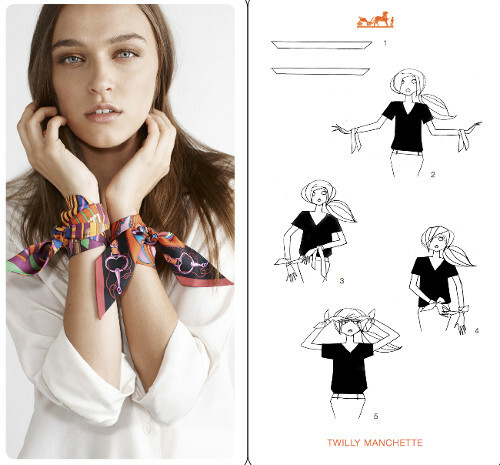 Of course there’s the classic kerchief around neck that ties in a knot at front and lays flat into a point at your back. The petit tour de cou (as seen on the card) is an excellent choice as well, and one that’s a little more modern. Think of it as a more ladylike choker. Have a straw bag you’re dying to whip out for the season? Or maybe you’re sick of your usual purse but are trying not to buy anything right now. Just slip your favorite scarf around the handle of your purse and tie in a knot to give your purse an instant refresh. Or tie it around your wrist and create your very own arm party in lieu of bracelets. The point is? Make it your own, and have fun with it.